Edenton Town Hall is located at 400 South Broad Street, Edenton, NC 27932; phone: 252-482-2155. Photo: Cupola House (the Governor Eden House), ca. 1758, 408 South Broad Street, Edenton, NC. Numerals applied to a gable finial give a date of 1758. It is believed that it was actually erected ca. 1715. 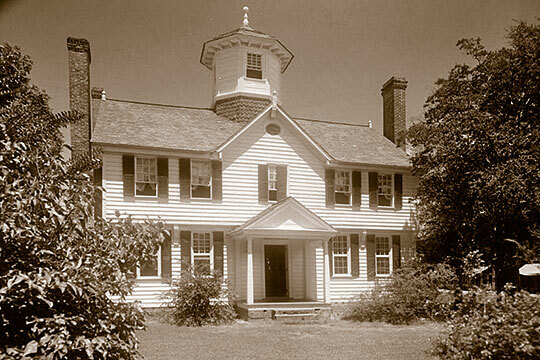 Francis Corbin, who purchased the place in 1758, was the land agent for Lord Granville, Lord Proprietor who owned one-half of the Province of North Carolina at that time. Listed on the National Register if Historic Places in 1970. Photographed by Thomas T. Waterman, 1939, Historic American Buildings Survey [HABS NC-2], memory.loc.gov, accessed September, 2014. Polly M. Rettig, Historian and Charles W. Snell, Historian, National Park Service, Chowan County Courthouse, Edenton, NC, 1969 & 1975, nomination document, National Register of Historic Places, Washington, D. C.